A few weeks ago, I shared in this post that I'd like to buy a few DS games in the coming year. Well, 7th Dragon, Maestro! Jump in Music and Nora to Koku no Koubou: Kiri no Mori no Majo (aka Noora and the Time Studio: The Witch of the Misty Forest) aren't the only such titles that are on my radar right now. Catch! Touch! 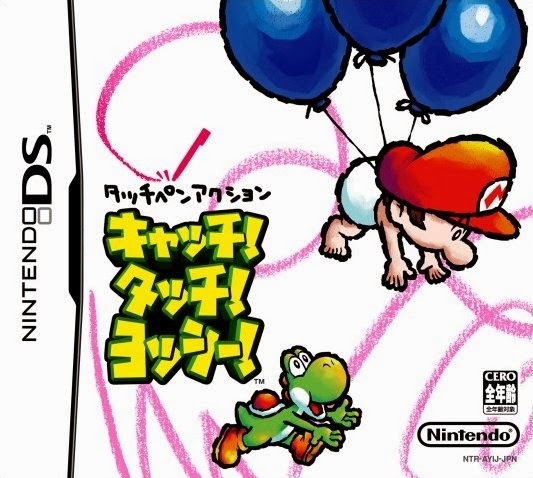 Yoshi!--I know I could pick up the North American version of this game--known here as Yoshi Touch & Go--on the cheap, but I really like the Japanese box art so I'm planning to buy that iteration instead. Regardless, I have a feeling I'll like its gameplay, too, once I get my hands on a copy. 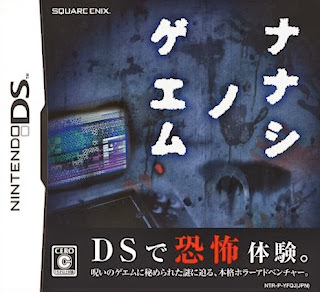 Nanashi no Game--Now that this spooky title, published by Square Enix in 2008, has a fan translation, I desperately want to put it through its paces. And who knows, maybe by the time I've finally acquired and finished it, a fan translation will be released for its 2009 sequel (also a Japan-only affair, of course), Nanashi no Game: Me. Pac-Pix--An odd choice, I'm sure, but I've always been curious about this one--in part because of its extensive use of the DS's touch screen and in part because of its adorably cartoonish art style. The main reason I've yet to add it to my collection is that I have a feeling it isn't the deepest of experiences, but since copies can be picked up for less than $10 I probably shouldn't worry about it so much. 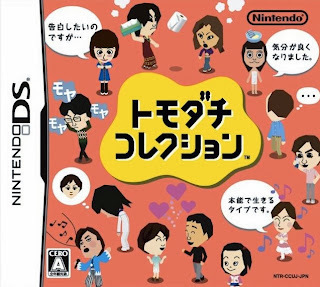 Tomodachi Collection--Another import-only DS game that now has a fan translation--or at least a partial one. 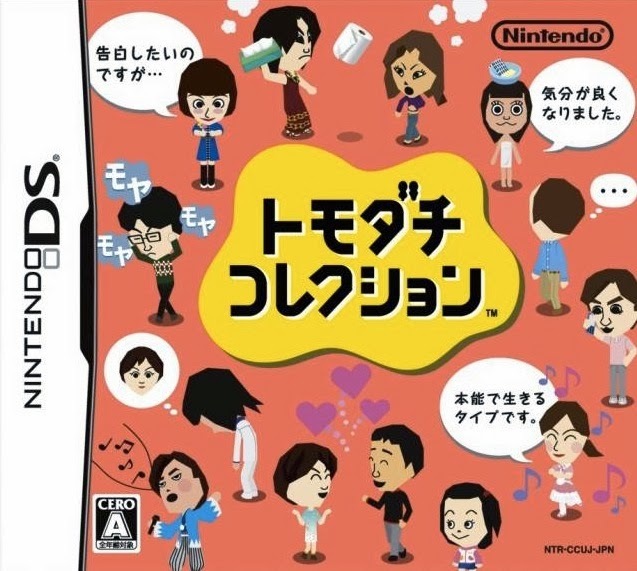 Actually, I'd want a copy of Tomodachi Collection even if some of it hadn't been translated into English, as it might help me with my Japanese studies--you know, when I finally back to them. Well, that's good to hear, bodo! I knew people liked Catch! Touch! Yoshi!, but I wasn't sure about Pac-Pix. I love that you bought PP plus Zoo Keeper and Sawaru Made in Wario at the DS's launch, by the way. What a great trio of titles to play! I think Pac-Pix actually has a localization over here! I remember choosing between that and Kirby Canvas Curse back in the day. Hope you enjoy it (if/when you get it)! 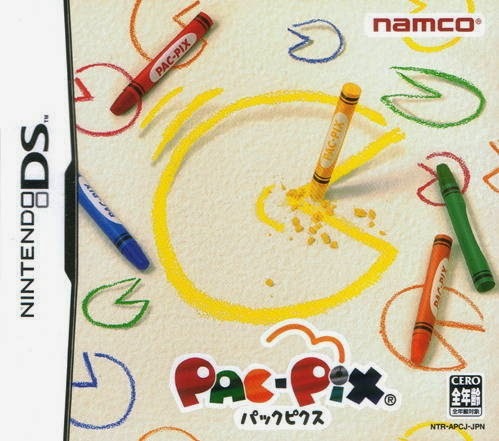 Oh, yes, Zach, Pac-Pix was released everywhere the DS was released, as far as I'm aware. And the $10 copies I mention in this post are North American ones. Japanese copies are more expensive, as is usually the case. Hey there, Aaron! If you're willing, share your 3DS friend code (or NNID?) here and I'll add it to one of my 3DSes as soon as I can. My main friend code is 3050-8125-7171 and my main NNID is friendoftony. As for my Christmas: it has been very nice, indeed. Glad to hear yours has been great, too! Btw. I simply forgot to wish you a Merry Christmas!!! Yes, it was a great trio of DS games and I've played through all of them several times, but Sawaru Made in Wario is the only game of all the ones I've played so far that I've completed with 100%. No worries, Bodo. And I hope you had a merry Christmas yourself! Ah, this talk of the DS' early days makes me wish I had paid better attention back then. I didn't buy a DS until the DS Lite came out, and I was only somewhat aware of the system and its catalog before then.